Eric Martinez and Paul Kirsch from the Chumash Environmental Office sort bags of waste during the Century Ride festivities in Solvang. Kelly Ferguson from the Chumash Environmental Office sort bags of waste during the Century Ride Festivities in Solvang. 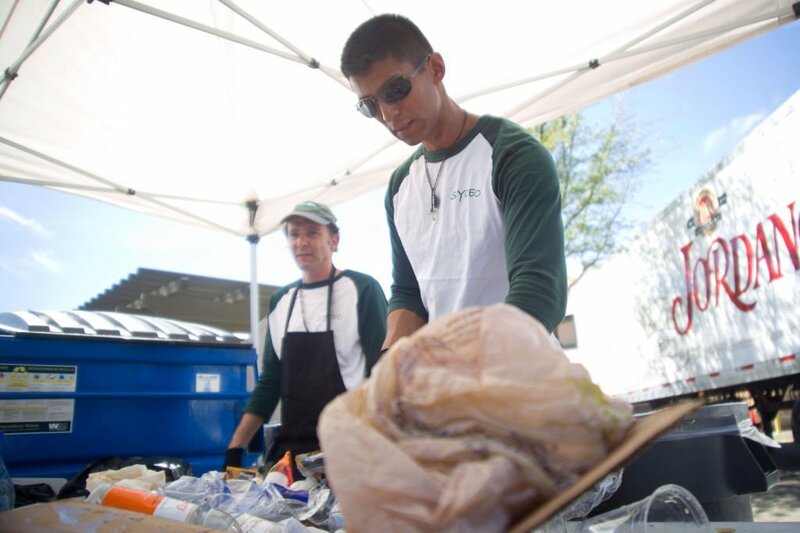 Eric Martinez and Paul Kirsch, from the Chumash Environmental Office, sort bags of waste during the Century Ride Festivities in Solvang. The U.S. Environmental Protection Agency recognized the tribe for its zero-waste programs this month. Thousands of cyclists streamed through Solvang, Lompoc and Santa Maria Saturday, but hardly a trace was left. Touted as a “Zero Waste” event, the Santa Ynez Band of Chumash Indians Environmental Office in partnership with Waste Management scattered compost, landfill and recycling bins throughout Solvang’s village center where about 3,000 bicyclists embarked on the Solvang Century, Metric and Half Century ride. About 550 tons of waste head to Santa Barbara County’s landfill daily. The Chumash Zero Waste Program began in 2009 as a way to divert all waste from local landfills. 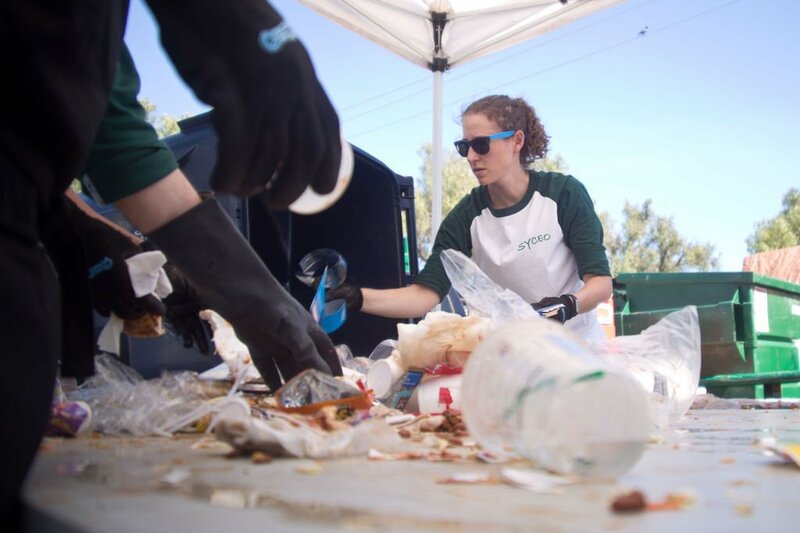 Since 2010, organizers have brought the Zero Waste program to more than 65 events, diverting about 170 cubic yards of waste from the landfill.